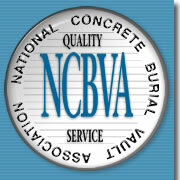 has been committed to providing our customers with quality engineered concrete products and superior service. We offer a wide variety of standard and custom-designed Precast Concrete Products for delivery to your jobsite. Please contact us for all of your Precast needs. This facility is NPCA CERTIFIED. In 2010 we achieved one of the top 25 scores in NPCA's Plant Certification Program, out of nearly 400 participating plants. We achieved this honor again in 2011. We are a distributer, providing Perm Entry Basement Entrances in various sizes. We also manufacture Wilbert® Burial Vaults and provide cremation products as well as cemetery setups to local funeral professionals.